2013’s first fresh meat intake is coming soon! It’s been a long time coming, and you’ve been waiting patiently, so we’re thrilled to announce that the first fresh meat intake of 2013 is pencilled in for the end of February. We’re still unable to give you an exact start date as we’re waiting for confirmation from the venue but now is the time to get down to those roller discos or brave the January air and get skating outside in preparation! 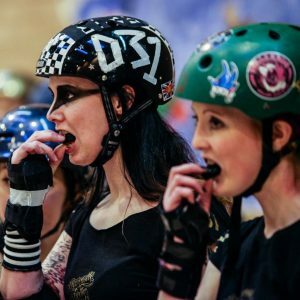 Remember, you have to be able to skate to join a Newcastle Roller Girls newbie intake. You don’t need to be as awesome as our Canny Belters by any means but if you can’t skate from one side of a sports hall to another we’ll have to ask you to come back next time. Sessions will run on a Sunday morning, 10.30am – 12.30pm at the Walker Activity Dome, NE6 3BR. All other information will be confirmed and announced via this website, our Facebook (keep your eyes peeled for an event you can join!) and Twitter as soon as the date of the first session is confirmed. Can’t wait to skate with you! Previous PostHinnies make history in YorkshireNext PostFresh meat starts 24/2/13! + free preview session!